Name: Brendan McGee Location: Batavia Busy Bee. San Francisco's Fairmont Hotel is considered the grand dame of Bay Area hotels. It’s hosted everyone from movie stars to socialites to presidents. So it was an unusual sight to see a scruffy truck hauling beehives pull-up beneath the hotel’s famous flag-lined canopy. "Sooner we get them out there, the sooner they'll be happy," mumbled Spencer Marshall, tugging on a stark white beekeeping suit. Marshall and his crew unloaded four beehives onto a cart under the curious eyes of tourists and hotel staff. They guided the cart through the hotel’s cavernous hallways to a little outside garden area with wood planters teeming with lavender plants. Then he peeled off the burlap sacks covering the hives and soon after, the air was filled with the buzzing of 80,000 bees. "What we’re doing would happen naturally over a hundred years," said Marshall, who along with his wife runs Marshall Farms in American Canyon. “But we’re trying to help it along a little bit." The hives are the showpiece of the Fairmont’s new herb garden started by executive chef JW Foster. 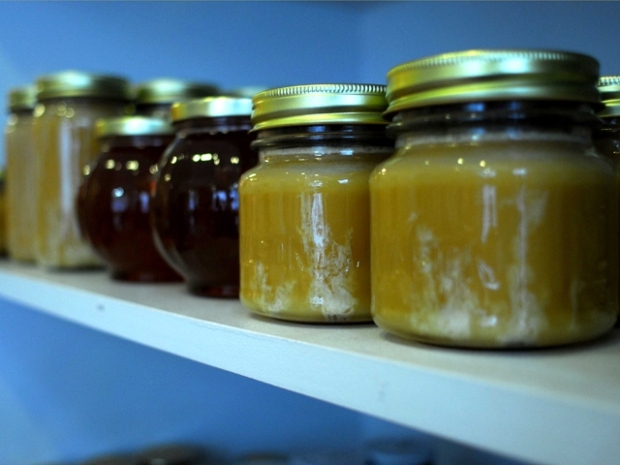 The honey produced by the new guests will soon figure into the hotel’s swanky cuisine. "We’re going to use a lot of it in the restaurants here," said Foster. “We’re going to use it for the afternoon tea in the lower court." This new hive installation comes amid concerns over a global bee shortage, known as Colony Collapse Disorder. Those fears have launched a new wave of urban beekeeping in city's like San Francisco. 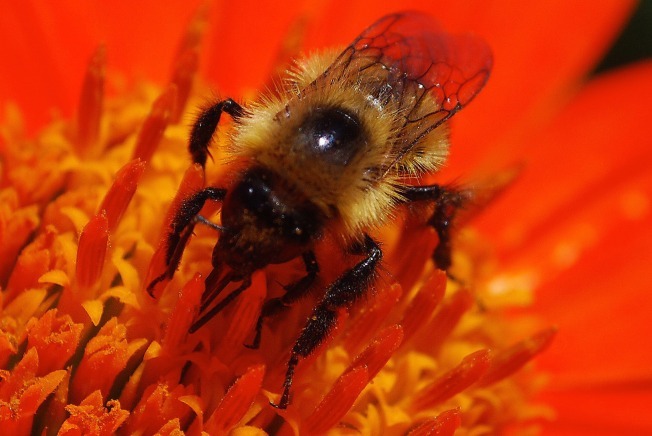 Budding farmers have donned bee suits and installed hives in parks, backyards and on rooftops. "I always say a hive of bees is like having four tomato plants," said Marshall, who delivers bee hives all over the Bay Area. Still, one must wonder what the Fairmont's well-heeled guests think of their buzzing new neighbors, who conjure images of swarming bees chasing guests through the Tonga Room. "That thought did cross my mind," said Fairmont General Manager Tom Klein. "But I’m told they’re quite tame." In addition to putting honey on the menu, the hotel has plans to bottle its homemade honey in jars emblazoned with the Fairmont label. So hopefully, the term “busy little bees” isn’t just hyperbole.